Everyone loves a cozy and unique bathroom. 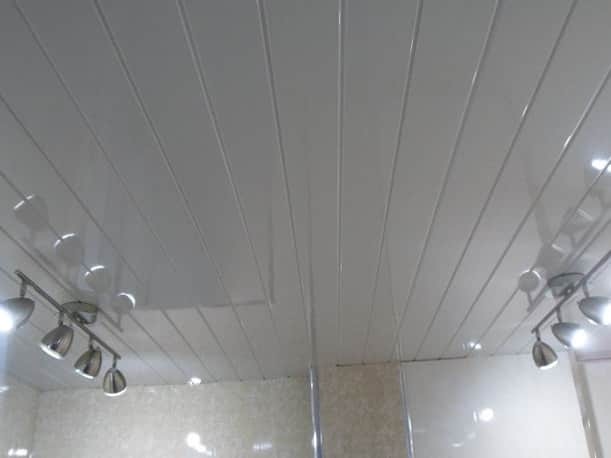 Finishing the bathroom with PVC panels is not only a cheap but also practical choice. 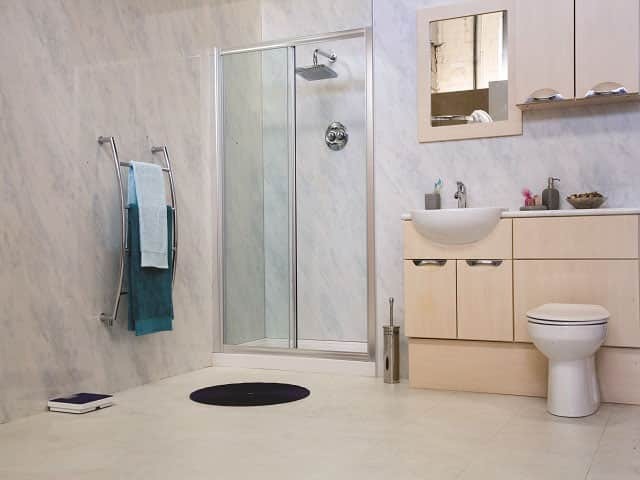 The bathroom plays a critical role in the home. If it is beautiful and cozy, it is easier for a person to relax and have a pleasant experience while using it. 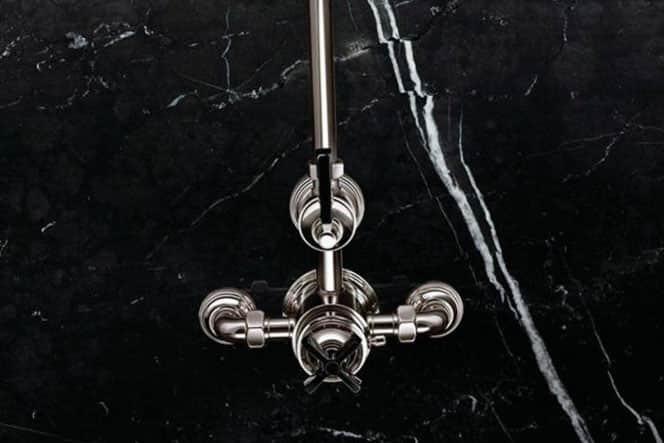 In addition, a uniquely designed bathroom is always a cause for pride, leaving your guests in awe each time they visit it. 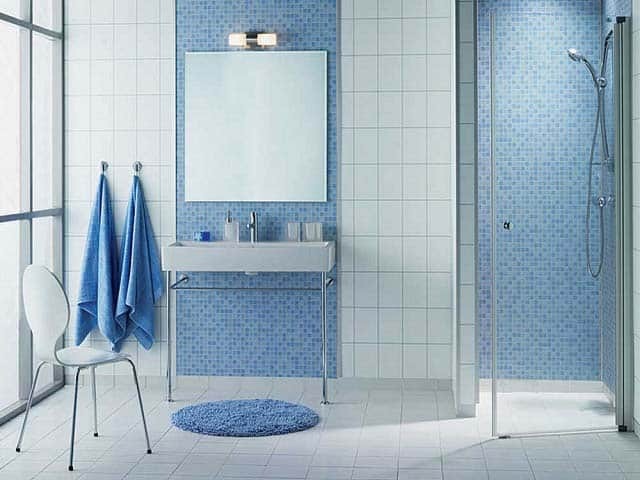 Another element of the bathroom that deserves great detail and attention is the wall. Some of the mistakes to avoid include letting the paint darken or peel off and having old and rusty pipes. 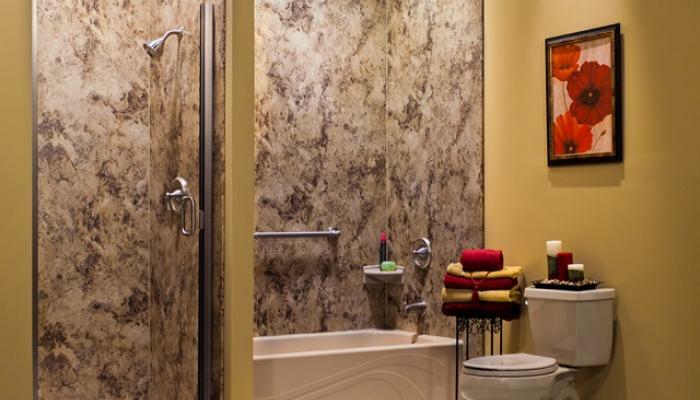 These mistakes will turn your bathroom into a dreary and boring space. 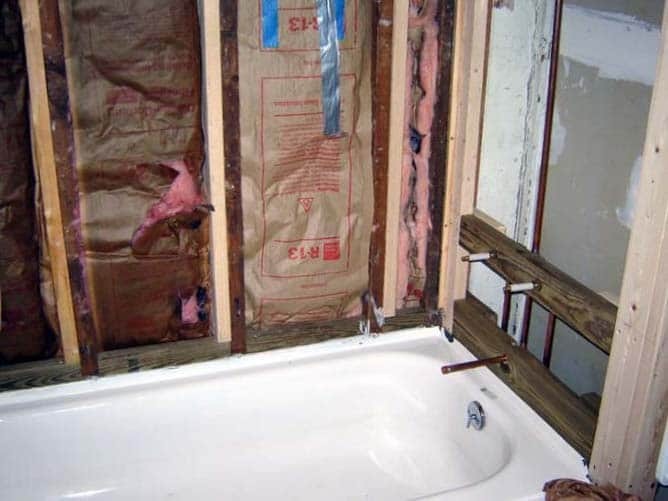 If this happens to your bathroom, then you have no choice but to start repairs. 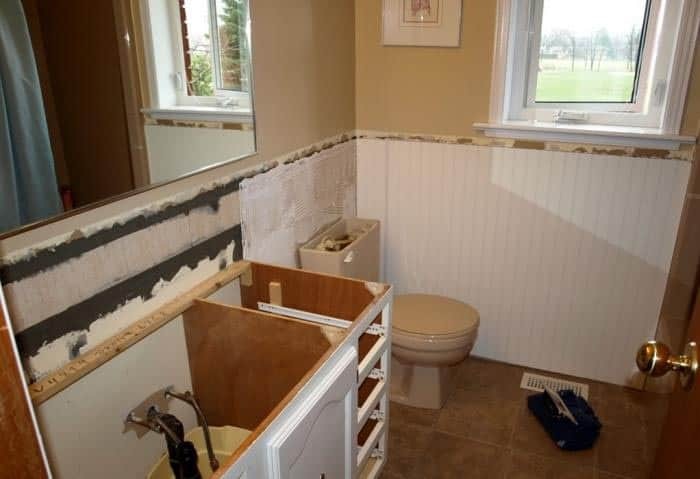 One of the most practical solutions is covering the old walls with new tiles and replacing old pipes with new ones, even if the new ones are plastic. 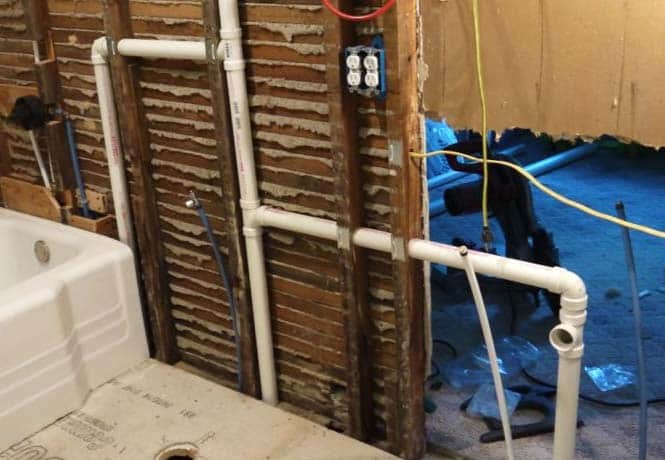 Repairing a bathroom can, of course, be extremely costly. However, if there is there is any chance that you can comfortably afford the repairs, then you should definitely go for it. 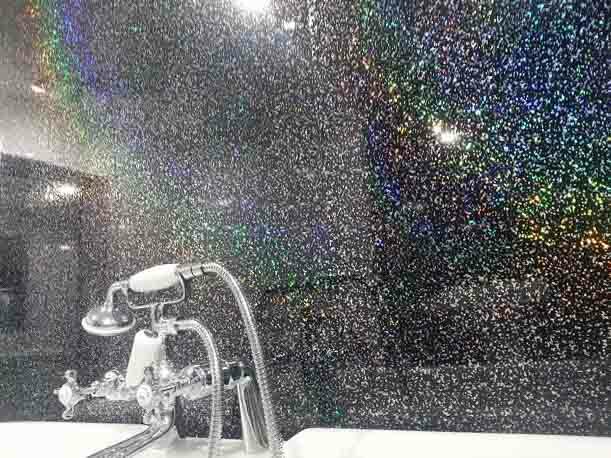 Decorating the bathroom with plastic panels will easily fix many of the defects in the bathroom. 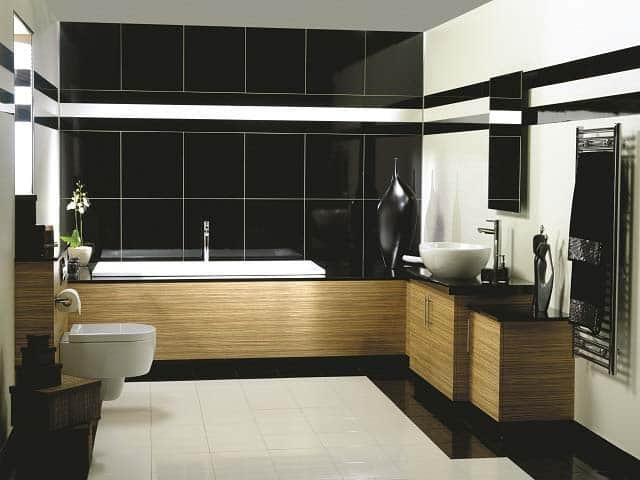 The modern range of the panels is so rich that you will literally be spoilt for choice. Panels come in different price ranges and designs. 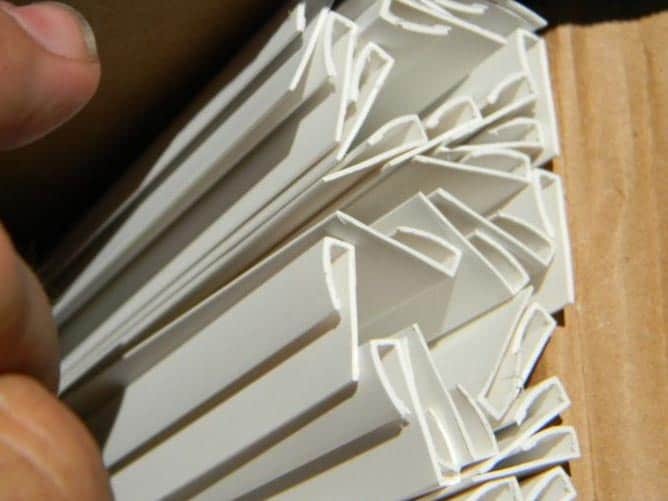 First is the ease and simplicity of installation: If you know how to hold roulette, a construction knife and a stapler with a screwdriver, then you can easily install the PVC panels on your own. 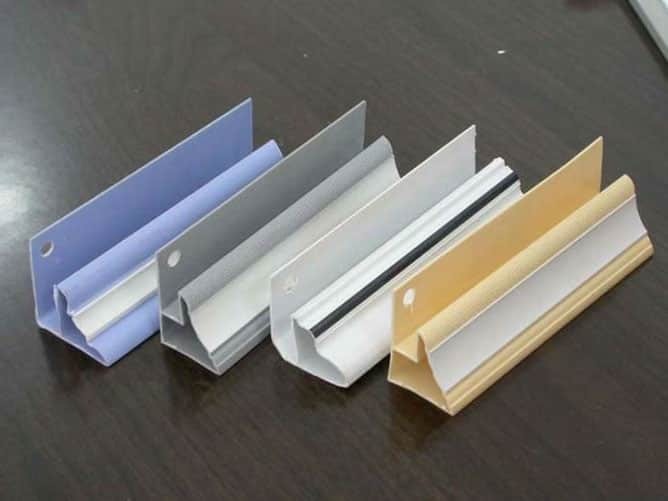 Affordability of materials: The cost of PVC panels rarely exceeds 100-130 rubles a piece. You also don’t need much for the décor, especially if you are aiming for decor that is simple and practical. They are very hygienic: PVC does not absorb odors, and neither does it soak in water. Even if the panels are dirty, they can easily be wiped off with a sponge and a normal soap solution and their condition will remain intact. Polyvinyl chloride does not burn: Even upon contact with an open flame, this material is only melted.For a bathroom in which the probability of a short circuit is high, this quality is of enormous importance. Behind the panels, you can easily hide various connections From view, such as electrical wiring and water piping. 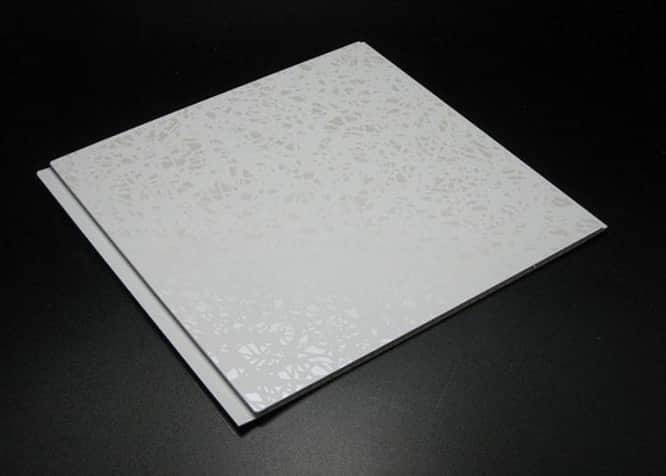 Other advantages of PVC panels include: Environmental safety, soundproofing and thermal insulation properties. However, these properties do not bring much value to a simple and ordinary home. 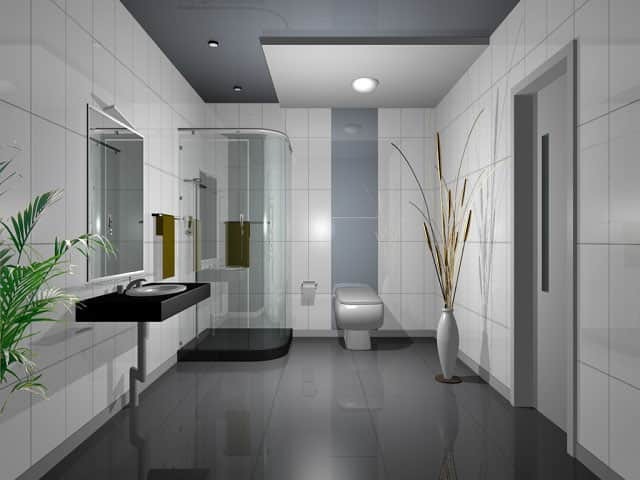 They are mainly advantageous for occupants of commercial or busy premises. Delicate:If you have ever worked with these panels, then for sure you know that they need to be handled cautiously. 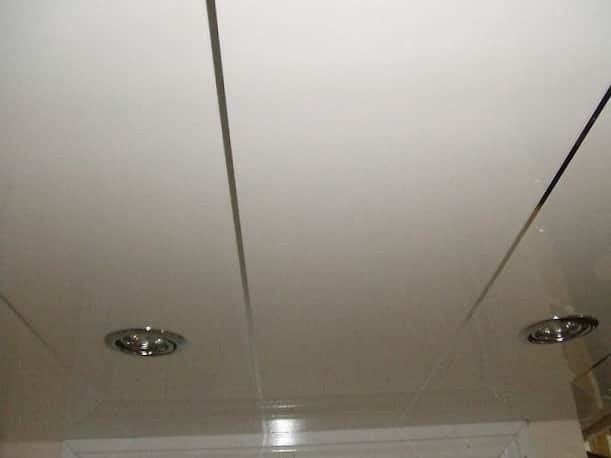 Actions like inaccurate cutting and strong pressure lead to the formation of cracks and dents, which end up ruining the view of the tile and bathroom. The paneling of PVC walls with panels always “eats up” part of the useful interior space. Owners of small bathrooms should always remember this. If you want to save as much as possible, then you may easily be lured into buying “purely Chinese” panels. 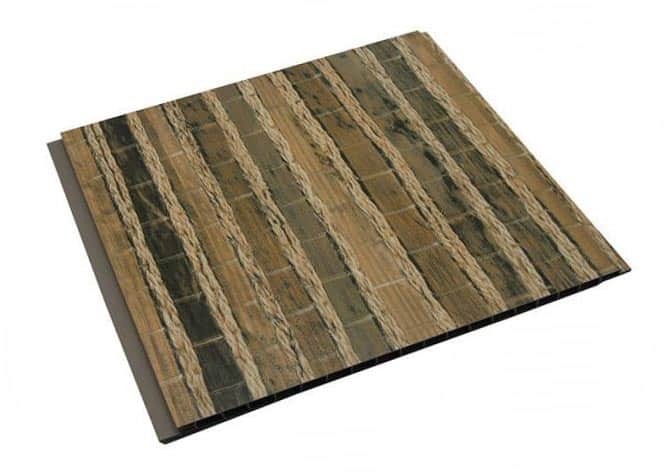 While easily affordable, these tiles are not long-lasting. 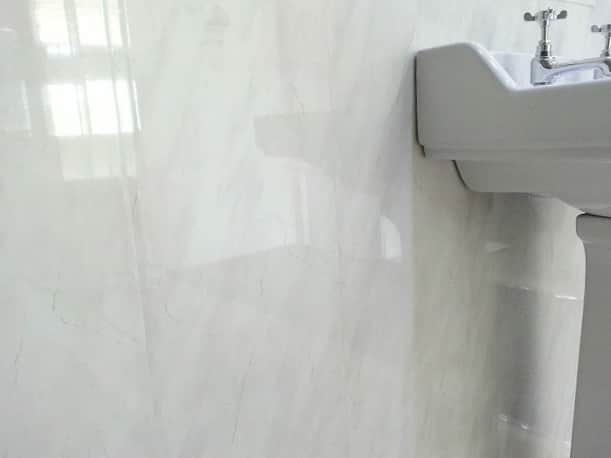 Furthermore, the tiles have a strong, stifling smell of phenol, making it hard to use effectively use water in the bathroom and negatively impacting your health. Self-tapping screws and profiles for mounting the crate. Corners (bought together with panels). Electric jig saw and metal hacksaw. Dowels, screwdriver and / or screwdriver. On a pre-assembled frame (crate). With the help of “liquid nails” or mounting foam. 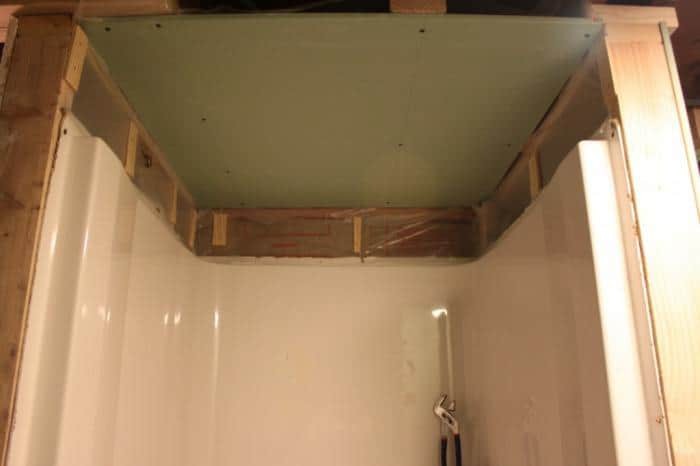 The advantage of the first method is that it is easy to fit wiring and piping beneath the panels. If necessary, it is also possible to place the heat-insulating material there. The frame itself can be made of metal or wood. If you plan to use a wooden beam, it should be made of hardwood. In addition, the material should be properly impregnated with antiseptic compounds, and covered with linseed oil. 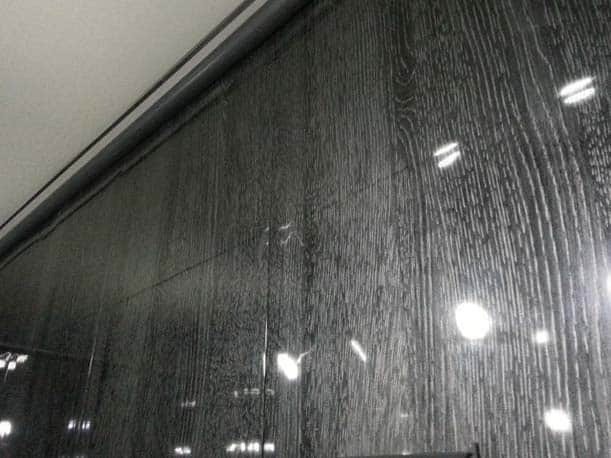 This will protect the wood from moisture and effects of moisture absorption, such as rotting. 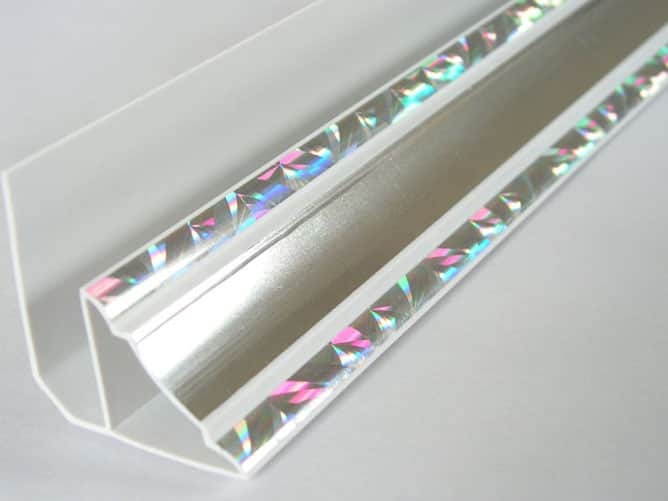 The section of the beam should not exceed 10×30 mm. Note! Even if you carefully treat the wood with protective substances, it is still possible to swell it (especially if you actively use a bath). It is, therefore, highly recommended that you use plastic panels. 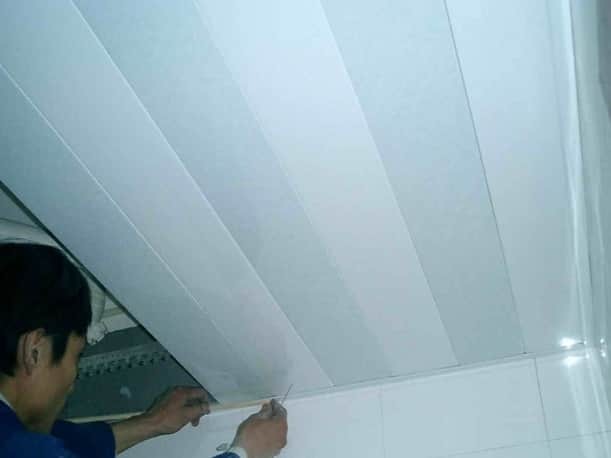 The second method is good for speedy installation and simplistic appearance: take the panels, grease them with glue and immediately attach them to the wall. However, it is important to clearly understand that the walls in this case must be absolutely straight. The leveling of surfaces costs plenty of money and therefore, with a limited budget, it is better to use the crate. Note! 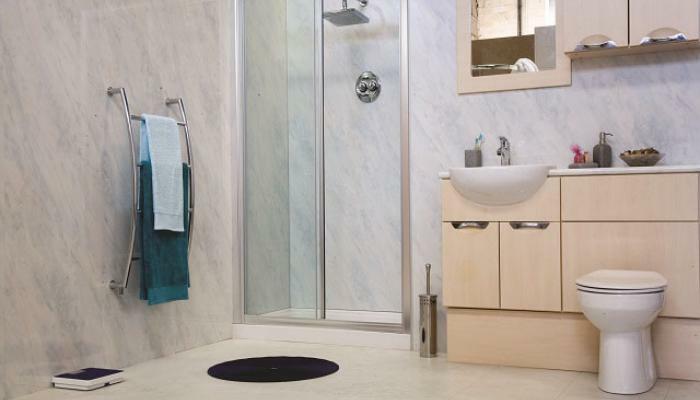 In most cases, costly preparatory measures are unnecessary, but if the curvature of the walls in the bathroom is extremely uneven, they need to be leveled! 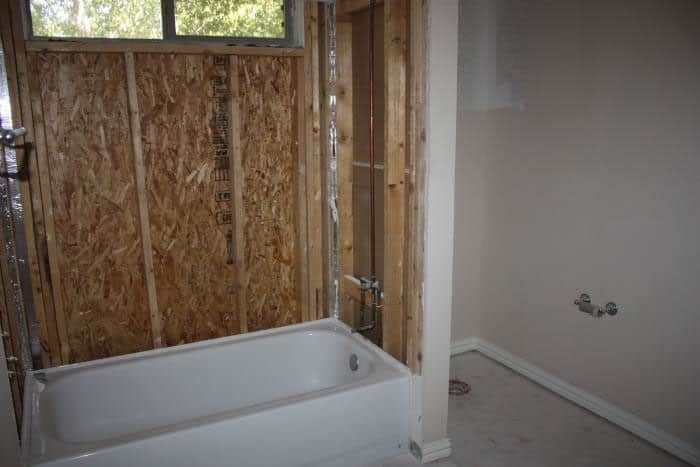 First, leave the PVC panels you bought in the bathroom for exactly one day. This is a very important condition! During this period the material will “get used” to a certain level of humidity and will subsequently stay in good condition. Next you should pay attention to the walls themselves. You ought to remove any dirt that may be on the walls. Large cracks and potholes should additionally be repaired. 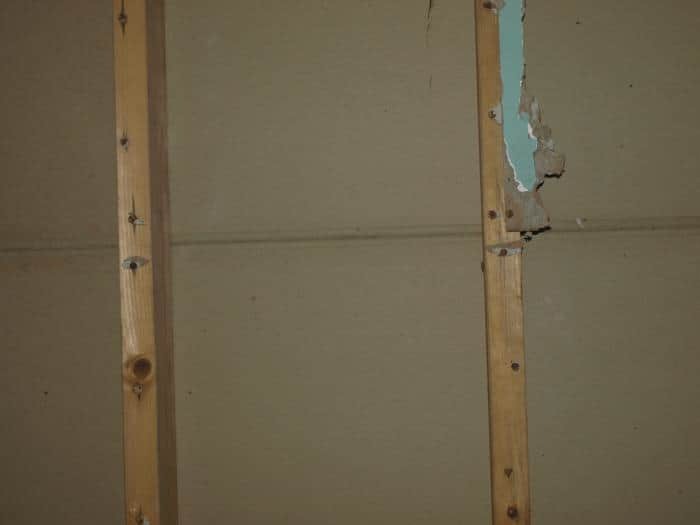 If the wall has section with foci of fungus or mold, or wet areas, then all these shortcomings need to be corrected immediately! Under the panels, which practically do not pass air, mold is able to grow and spread quickly. Fungi have an extremely negative effect on human health, causing allergies and even diseases like cancer. Once again, having ensured you have all the necessary tools and materials, it is possible to start working. In the next step, you should eliminate any obstructions, close the valves on the pipes, remove the switches and sockets, and insulate the exposed parts of the wires. 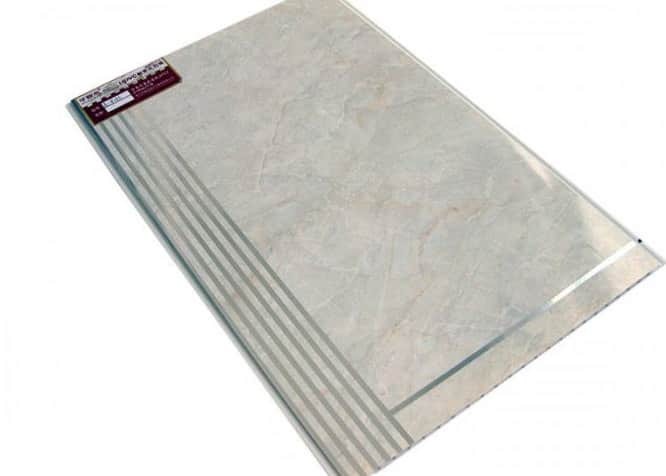 In case you plan to replace the floor covering, you must do it before starting work with PVC panels. Otherwise, it is very likely that the panels will be damaged during the installation of new floors. When installing the beams, carefully do so according to the levels. It is very important that they are strictly located in the same plane. The step between the profile elements should be about 40-50 cm on the walls and 30-40 cm on the ceiling. The lowest crossbeam is installed close to the floor, while the uppermost should be located on the level of the edges of the panels. This method of installation provides an optimum degree of rigidity. Therefore, marking the wall with the help of a building level, we begin to fix the profile. The installation is carried out using dowels. If the walls are made of foam blocks, you can use conventional screws. The same applies to cases where it is necessary to make boxes for hiding water and sewer risers. However, for these, you can use a beam of greater thickness to ensure high strength and reliability. Note! The alignment of the bars should be strictly perpendicular to the panels. 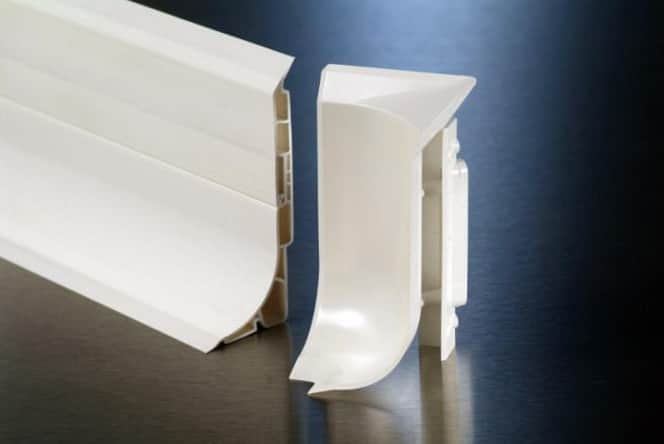 Simply put, if PVC facing will be installed vertically (the best option, by the way), then its crate must be put horizontally. After you have finished with the crate, you can start installing the guide profiles and corners that mask the joints of the panels. 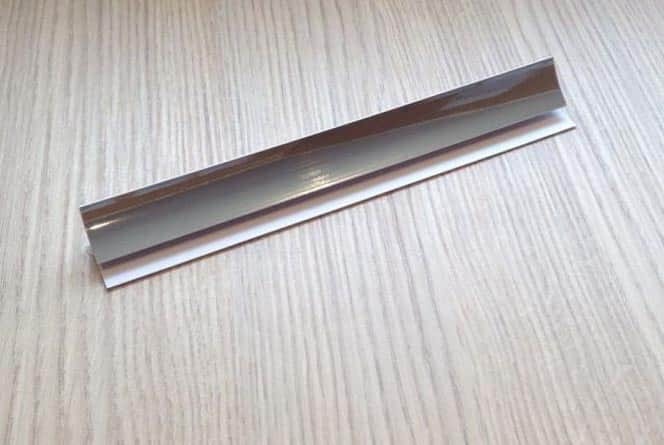 With joints at the level of walls and ceiling it is much easier: for this special plastic skirting boards are used. If desired, you can choose models with a box for wiring. Corners and guides are attached to the same dowels, self-tapping screws or “liquid nails”. Of course, when using a metal profile, only special screws are suitable. Finishing should start from any corner of the room. However, we would recommend beginning with finishing with the most difficult places of the room. After measuring the panel, cut it with a construction knife (or a clerical), and then mount using the guide we have provided. To the profile of the panel fasten the screws. The first of these must be carefully leveled before installation. Similarly, measure the next panel, and fasten it to the first until the characteristic click in the lock joint. Again, add the self-tapping screws. Mount the panels to the profile you need on a wide section of the castle! However, in another way, they will not be able to attach to each other, since the screws will be hindered, forbidding the snapping of the fastener. 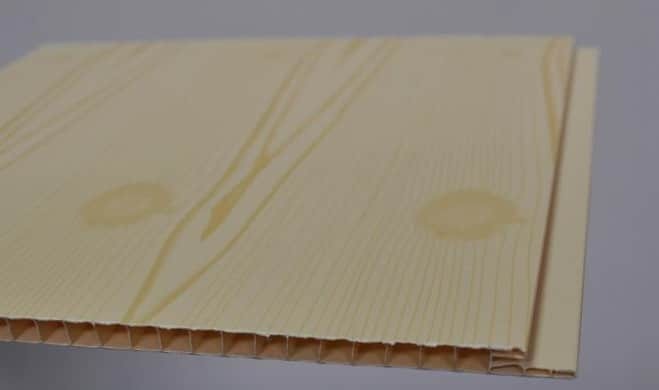 When installing, calculate the length of the panels in such a way that there is a gap of 2-3 mm near the floor and ceiling, as this will promote better air circulation (remember that we talked about mold?). Gradually get to the opposite corner. As a rule, the width of the last panel is superfluous, and therefore it has to be cut. To do this, you should use a regular clerical knife and a set square (or just a straight section of the profile). PVC is easy to cut, so you can easily cope with it. In some cases it is necessary to achieve maximum tightness of the locking joint between the panels. If your situation is exactly this, you need a colorless silicone sealant, which you need to lightly smear in the inner surface of the joints. First, thoroughly clean the wall of all greasy spots, old paint and whitewash. Use a medium-hard brush to remove dust and traces of plaster. If the wall has been whitewashed, it is strongly advised to wash it with a mild soap solution. The work is time-consuming, but it will save you a lot of time since if you miss this step, the panels glued to the whitewash can fall out trivially. It is strictly forbidden to use any kind of adhesives, particularly those that contain at least some organic solvents. 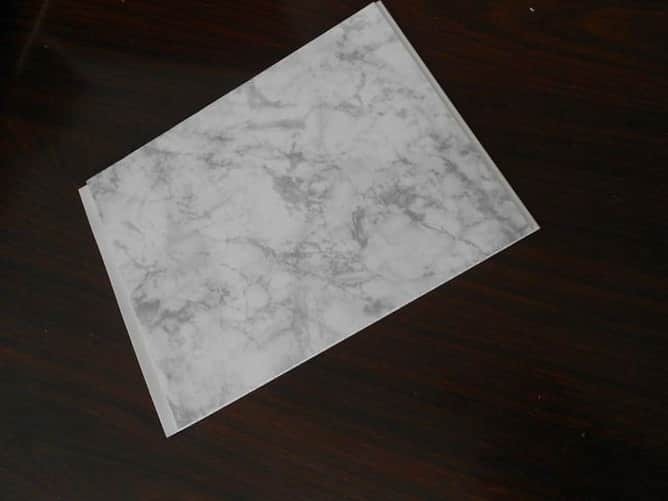 The glue should be spread evenly on the inner surface of the panel, after which it must be applied to the wall and strongly pressed for several minutes. 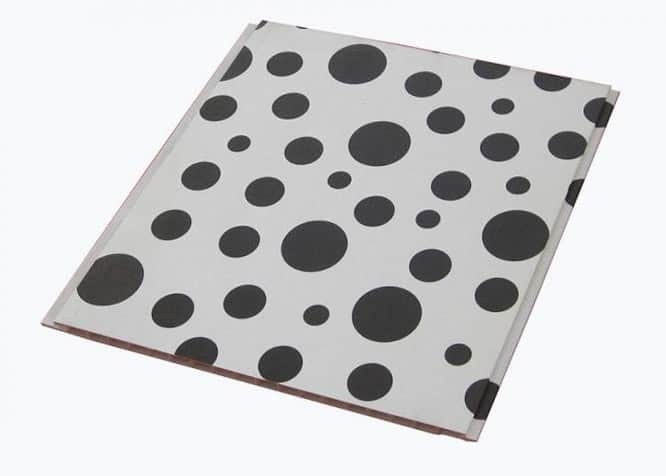 We recommend using spacers for this purpose, since keeping each panel separately is quite tedious. 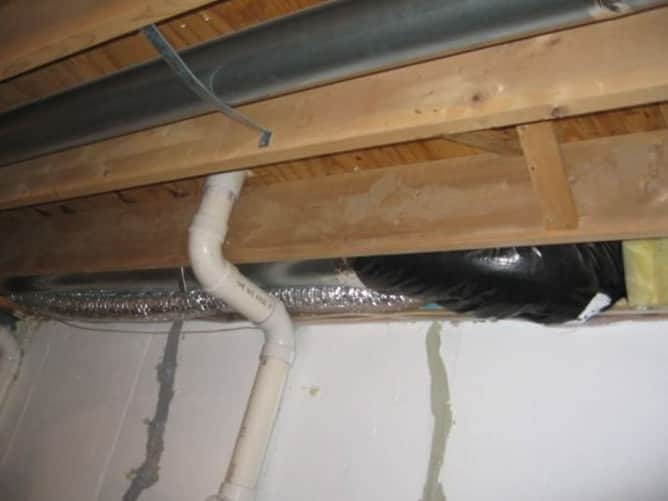 If you have to hide pipes or water risers, it is best to use a combined installation method. In such a set-up pipes are glued to the walls with “nails”. Where glue alone is ineffective, a frame is assembled. 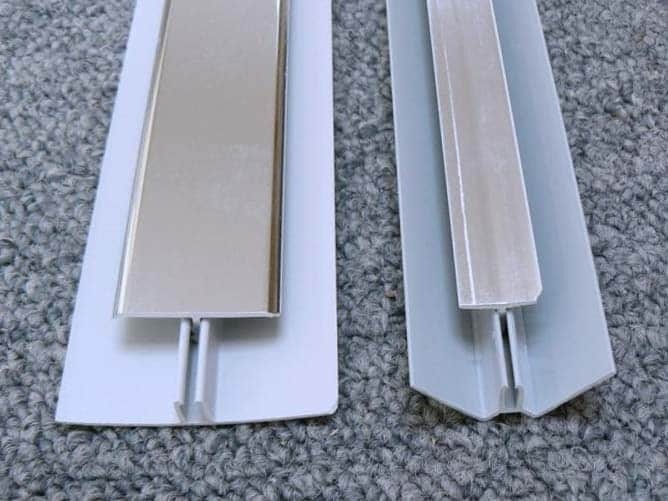 Do not forget to tightly seal ventilation gaps, since unwanted ventilation will let in humidity. 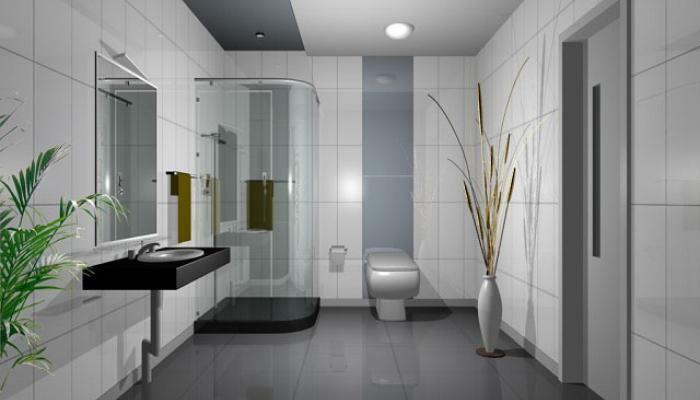 To ensure your bathroom looks professionally finished with plastic panels, we offer you a glimpse into what such interiors look like. We are sure that among these photos you will easily find the most suitable option for you!